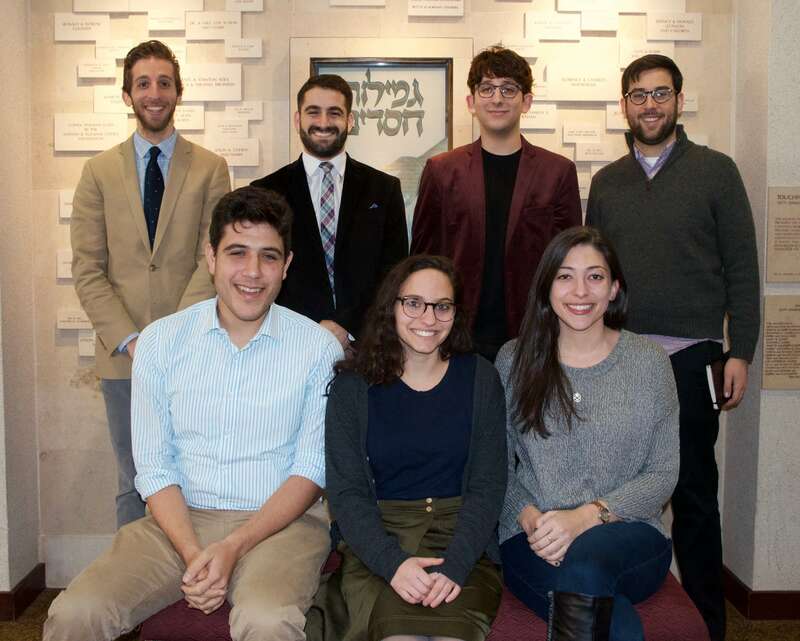 Krieger Schechter Day School alumni are nearly 1,000 strong and can be found throughout the world in almost every profession including Jewish life, the arts, medicine, business, law, and public policy. They are dedicated to making the world a better place through professional leadership and volunteerism. Sam Crystal (2006): After graduating from the University of Mary Washington in 2014, Sam spent the 2014-15 academic year working as an Israel Government Fellow in Jerusalem. During his 10 months living in Israel, he worked as the Congressional Affairs Fellow at Israel’s Ministry of Foreign Affairs. Working with Israeli diplomats in the Ministry’s North American division, Sam conducted research on the U.S.-Israel partnership, the 2014 midterm elections, and the Iran nuclear agreement. In 2015 Sam moved to Boston, MA to work as the Director of Political Affairs for the Consulate General of Israel to New England. As political director, Sam worked with Israel’s diplomats to New England in establishing and maintaining diplomatic ties between Israel and New England politicians. In this job, he established ties with members of Congress, governors, mayors, state legislators, and campaigns in the 2016 New Hampshire presidential primary. He was also on the planning committee for MA Governor Charlie Baker’s 2016 economic trade mission to Israel. Sam is now pursuing his Master’s Degree in Public Policy at the University of Maryland with a specialization in Leadership and Management. He also works as a Fellow for Bluelight Strategies, a D.C. based public relations firm working primarily on issues important to Jewish democrats. Jake Ferentz (2001): Jake is proud to grace the stage of KSDS once more – the last time he did so, it was as a member of a Hebrew-speaking barbershop quartet. He graduated from the University of Maryland with a degree in Public Relations, and swiftly moved to Los Angeles to work in the film industry. Currently, he is at the University of Maryland, oscillating between extreme excitement and extreme anxiety, in the course of finishing his Master’s in School Counseling. Primarily, he works as a tutor and Executive Function coach in private practice. He is extremely grateful that his parents came today, as all he’s ever wanted was to make them proud. Ilana Frier (2007): Ilana is an an Associate Director at Investigative Group International in Washington, D.C. Founded by former Senate Watergate Committee counsel Terry F. Lenzner in 1984, IGI is a preeminent risk advisory and corporate investigations firm with core specialties in internal investigations, regulatory and competitive intelligence, due diligence, executive background investigations, and litigation support. In her role at IGI, Ilana manages cases and conducts research for a variety of case types. Ilana graduated from the University of Maryland with a concentration in Criminology and Government. Abby Grobani (2007): After finishing with a BS in Captive Wildlife Care and Education from Unity College (Maine) in 2014, Abby decided to participate in a five-month MASA program, living in Tel Aviv and interning with the elephant team at the Safari Zoo in Ramat Gan. Abby made aliyah in August of 2015, and has been a full-time primate keeper at the Safari Zoo ever since. She lives in an apartment in the Florentine neighborhood of Tel Aviv with her roommate, dog, and two cats. Sara Lever (2005): Sara has been nurturing her passion for public health for many years. Locally, she has assisted with Spanish translating at The Health Care for the Homeless and the Johns Hopkins Bayview Medical Center Community Care-A-Van. Globally, Sara has spent time in Peru, Chile, and Honduras on medical missions and studying health care delivery systems. Sara graduated from the University of Rochester and is currently a third year medical school student at the University of Maryland. Ori Lieberman (2005): Ori graduated from the University of Maryland College Park in 2013 with a degree in Biochemistry. He moved to New York with his then girlfriend, now wife, Leah Pressman (KSDS ’05) and is currently studying brain development during childhood and adolescence with an emphasis on understanding motivation and reward. His research has been continuously funded since 2011 from the Howard Hughes Medical Institute and National Institutes of Health and he received the Regeneron Prize for Creative Innovation in 2017. Ori is an MD/PhD candidate at Columbia University College of Physicians and Surgeons. Sam Novey (2002): Sam got his start in politics in 2006 as a field organizer and staff assistant for Congressman John P. Sarbanes. He graduated from Harvard University in 2011 where he was elected First Class Marshal. Immediately before moving back to Baltimore to start Mile 22, Sam started the TurboVote college partnerships program in 2012 which has now grown to serve 300,000 students on over 150 partner campuses. Through his leadership of Mile 22’s work with the Foundation for Civic Leadership, Sam has helped design, found, and grow the ALL IN Campus Democracy Challenge and Students Learn Students Vote coalition. Aviva Paley (2005): Aviva oversees all job training, hunger relief, and food rescue programs, as well as manages the marketing and communications, and assists in fundraising for Kitchens for Good. In 2014 Aviva joined with Founder Chuck Samuelson to launch Kitchens for Good, playing a critical early role in securing donations, developing key partnerships and designing and launching the programs. Prior to joining Chuck Samuelson at Kitchens for Good, Aviva was a Food Justice Fellow at the Leichtag Foundation. Here she compiled a research report on kitchen incubators and community kitchen models, which eventually led her to want to bring this model to San Diego. At the Leichtag Foundation she also assisted with grant-making strategies related to food and agriculture, and created several programs including the Food Justice Film Series. Aviva received her Bachelors degree at the Maryland Institute College of Art (MICA) where she studied Design and Sustainability. She served as a Program and Communications Associate at The John’s Hopkins Center for a Livable Future, Board Member of Slow Food Baltimore, and cooking and nutrition instructor at Cooking Matters in Richmond, CA. Aviva was also the Co-founder and Director of “Don’t You Want To”, a national youth voting initiative which promoted civic engagement among college students. Aviva has been selected for several prestigious awards and fellowships including Food Tanks list of 20 Food Leaders Under 40, The UC Global Food Iniative’s 30 under 30 Food Leaders Award, The ROI Fellowship, and the Arianne de Rothschild Fellowship. Aviva is thrilled to now call San Diego her home, where she can indulge year round in her love for the outdoors, surfing, Mexican food, and fresh produce. Joey Reisberg (2014): Joey is a senior at George Washington Carver Center for Arts and Technology where he studies Literary Arts. In 2016, he was appointed as a National Student Poet, the nation’s highest honor for young poets presenting original work. He and four other poets representing different regions of the country were appointed at the White House by former first lady Michelle Obama. His debut poetry collection, “Keter,” will be self-published this spring.